Video may have killed the radio star, but it is dominating the Internet today. In a world that’s all about fast content and constant scrolling, you only get a few seconds to catch someone’s attention. Words just won’t cut it. You need at a flash image or cat meme at a minimum. In other words, you need a video marketing strategy. 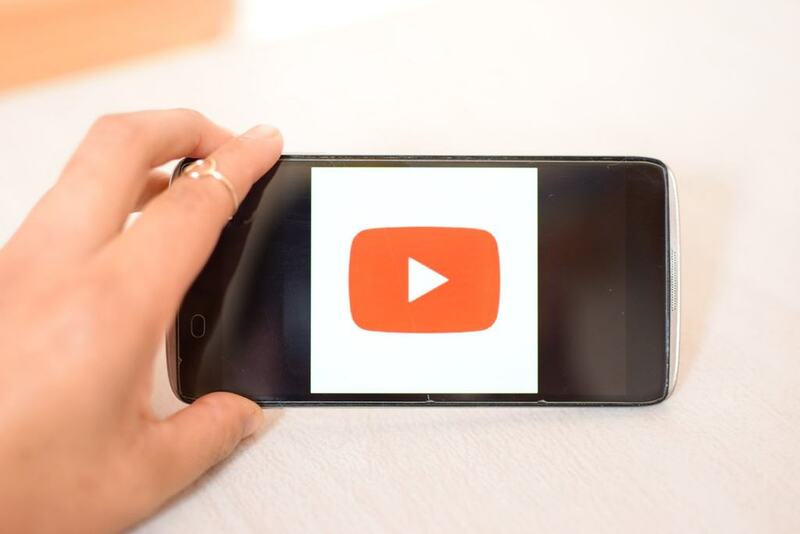 Attention marketing is the 2019 success strategy and you need to keep that attention long enough to convert them from traffic to sale, it is absolutely essential that you incorporate video into your marketing. Before we start learning how to use this strategy and how marketers do it, let’s look at what it actually is. I know, it seems pretty obvious, but it’s more than just a video that you use to promote or sell stuff. In fact, my whole business started on YouTube! Let’s look at some numbers. I know…not thrilling. I’ll keep them basic and promise you—no math involved! One minute of video, such as an explainer video, is worth 1.8 million words of text. Yeah, I know. Crazy, but true! How about this one: 1200% more shares are generated from video than any other medium, including images and memes. That’s right! That number has four digits. Or how about this one! A video incorporated into a landing or squeeze page will increase conversions by an average of 80%! Five billion (yes, billion with a B) videos are watched daily on Facebook, and it is predicted that in just five years it will be an entirely video-based platform. But what if you can’t get people to your site to watch the video? Not having a video could actually be the issue with your traffic. Did you know that having a video increases your search engine optimization (SEO) rating enough to boost search engine traffic by 157%? Yeah! It’s enough to get all marketers going. 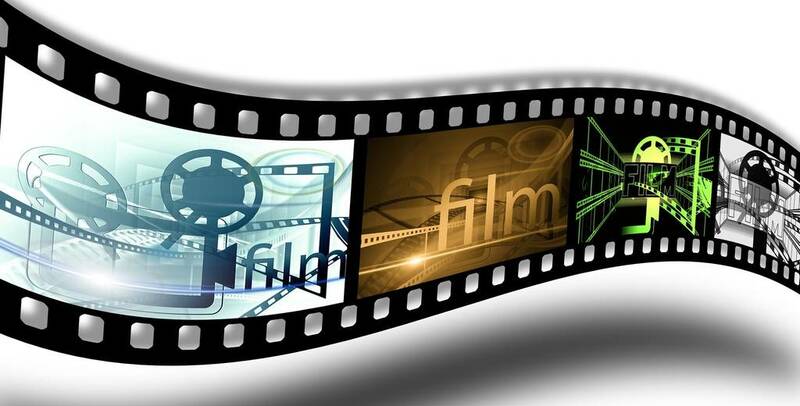 Moreover, users will spend 88% more time on websites that have videos. Videos in emails increase click-through rates by 200 to 300%. That's insane! 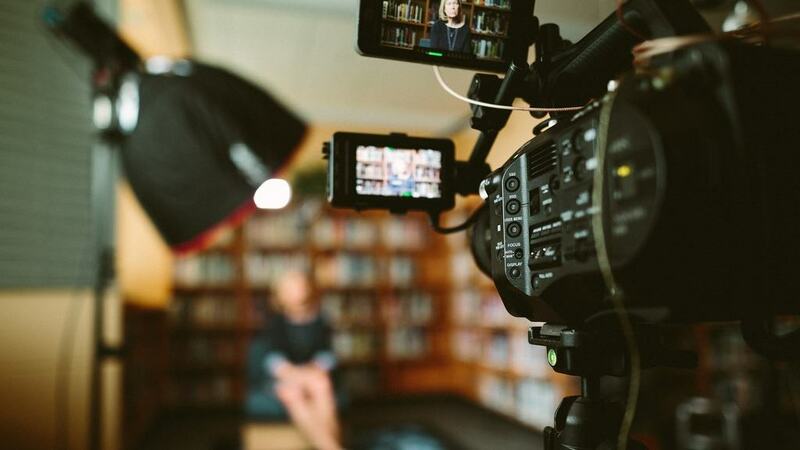 After all, 90% of customers say that a product video played an essential part in their buying decision and 64% said that having a video will make them more likely to buy than otherwise. Okay, we all know that this concept seems straightforward, but it still leaves some questions. What’s the difference between a video and a targeted video marketing campaign? What’s the video supposed to be and do? Video marketing should tell people your story. You don’t want to load videos down with what is essentially a wall of text. Very few people want to watch that. Make it compelling. Introduce them to you and your brand. What’s your deal? Why should they care about you? Simply put: Make them feel something! 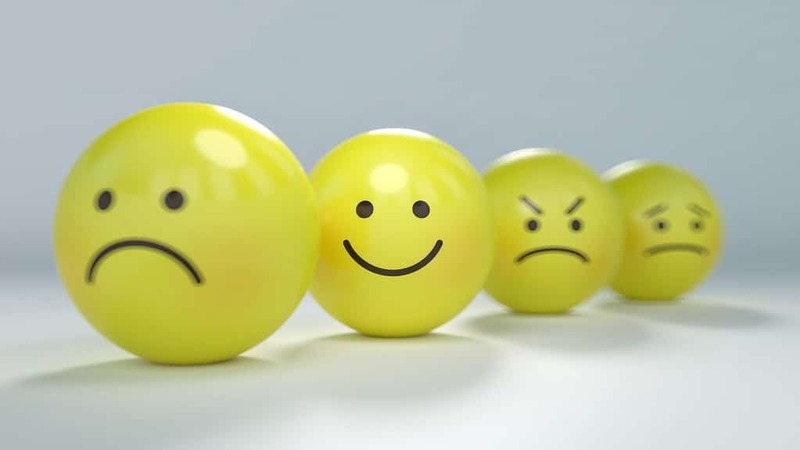 Our emotions dictate the people we trust, who we empathize with, and who we relate to. 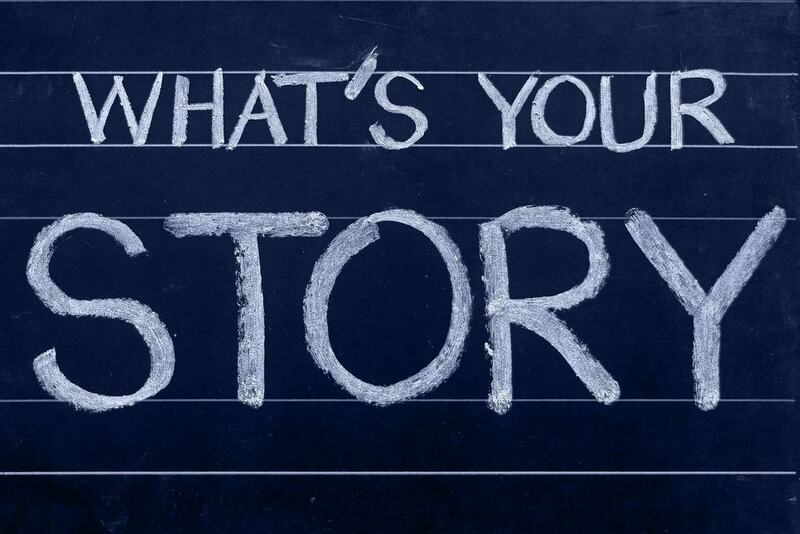 If you give them a compelling story, they will care about your brand. The Internet is constantly evolving and changing. It is important that strategies stay on top of the latest trends if they want to stay relevant to consumers. Here are a few of the biggest trends for 2019 media consumption. This is a major trend. Everything is migrating toward live video. It’s genuine and authentic. It looks less scripted, even if it isn’t. It allows for immediate interaction and detailed analysis. What did you say that got a lot of thumbs up? Where, exactly, did you start losing lots of viewers? How did you get them back? Live videos are probably the best way to interact with viewers. Everyone is using them from CNN down to individual Instagram and Facebook users. Don’t get left out of this trend. Here’s how I am getting results through free Facebook lives in my strategy. Technology is now allowing seamless shopping integration into video content. Shoppable content is trending so look for platforms that allow users to swipe to shop immediately from your video. Immersive experiences are on the rise. Technology has advanced so far that it’s easy and affordable to immerse viewers in interactive content. Use 360-degree filming and they can turn around with their screen. Their content will move with them, showing angles from up, down, and all around. It's kind of like being at a massive IMAX dome but from your own smartphone. VR takes a 360-degree video to the next level. Looking through a VR lens allows them to be completely transported. There are very cheap goggle sets you can use to have someone harness their smartphone to the goggles for an immersive experience but there are even more compact experiences. Some of today's VR lenses are so small they will fit neatly in the palm of your closed hand. While VR allows someone else to go to your environment, AR allows you into theirs. IKEA has this figured out well. They have a placement app that allows you to browse their products and use AR to drop them right into your house to see how it will look in your environment and space. This is invaluable in the world of online shopping, where the only previous drawback was not being able to see what it looks like in person. This trend makes a lot of sense in social media dominated marketing circles. Don’t project to lots of people. Shoot a video that talks directly to one person for a more personalized experience. These videos are frequently used to respond to emails, queries, FAQs, and more. Every business needs to get on the vlogging trend quickly. It’s a great way to interact with your customer base and engage them on a regular basis. Keep them interested. Be consistent and personable. Vlogs are very down to earth but they’re a major trend. Oh, but I hate being on camera. I’ll flub up my words every time. It’s just not my thing. I’d like to get involved, but I just don’t have the budget to set up backgrounds and lighting and get a big camera and someone to use it. This is the first video I made! It’s horrible!! These days, great videos can be shot in 4K from almost every smartphone on the market. Did you know that the most recent iPhone actually has a better camera than most of the professional ones on the market? Content drives interaction. Viewers will be okay if your video quality isn't completely perfect…as long as the content is engaging and entertaining. Focus on the content and just make sure you're not shooting shaky video with a bed sheet that is clearly drooping unless you're making a funny joke of it. What sort of video should you create? If you’re not great at the type of witty banter you think could go viral, then don’t worry about that for now. There are tons of different styles of video to choose from. Here are my results after 2-years of video marketing, This stuff works! Most businesses these days have a blog. Blogs are a great marketing tool, and you should start one if you do not have one, because they let you relate to consumers on a personal letter. You can share information with them, interact through the comment section, increases website traffic from Google, and grow organically through social media sharing. A vlog simply elevates this step to include a video (a video blog = vlog). Start a YouTube channel for your business, create some authentic videos, and embed each one into your blog entries. There are two keys to a great vlog: authenticity and consistency. Vloggers generally talk to people in a one on one, authentic way. They aren’t afraid to show imperfections. They talk to viewers as friends and interact with them through comments. Consistency is another huge aspect. Don’t let people forget about you and click unsubscribe. You want to show that your brand is reliable. How can you prove that to them if you can’t even reliably produce fresh new content? Set an update frequency that works for you and stick to it. Integrate your vlog with multiple different platforms. Share it everywhere—Facebook, Twitter, YouTube, Instagram—the more it is shared, the more it is seen. These are a bit more self-explanatory. They tend to be more formal and structured than vlogs. In this method, you set up an interview with a recognized expert in your field. Ask them some questions. There are a couple of keys to pulling off a great interview video. First, follow your field and subject. If the subject matter is serious and you’re marketing to researchers and professionals, conduct the interview like you’re a news anchor or investigative journalist. Wear business clothes. If your goal is to reach the average Internet user or a younger crowd, then don't be so stuffy. Look at yourself more like a morning talk show host. Be relaxed, get a little goofy, and mix in your serious questions with a few fun fluff questions about their likes and hobbies. Second, prepare your audience ahead of time. Let them know that this is happening and invite them to ask their own questions knowing that you will ask as many as you have time for during the interview. Then, follow through. Since you’re interviewing an expert and inviting the audience into it, why not do it live? You’ll come across as more genuine because there’s no room to reshoot questions when you don’t like the answers. Earmark some of that Audience Question time for live questions from the chat room. The key here is sincerity. You must monitor your chat and interact. Say hello to some of the followers who talk to you. Acknowledge comments and questions they may have, leave some feedback and responses in the chat room. If you have a large user base, consider having a second person with you to live stream instead of using a phone and tripod setup. Introduce them at the start of your stream and let them be in charge of monitoring the chat and interacting. They can filter relevant questions and comments through to you by calling them out and you don't look like the bad guy if you don't want to acknowledge obnoxious comments or irrelevant information. After all, you're only able to see what he calls out to you. Win-win! More and more people are moving to the live stream medium. This is going to be one of the biggest video marketing trends of 2019. In fact, the Internet is moving entirely toward live streaming everything. Just remember to save and post your video when you're done so it can be shared afterward. This category made some serious Internet stars. A lot of social influencers got their start by making makeup tutorials. They’d live stream on Instagram when they put on makeup and teach people how to shade, contour, and craft specific looks. This branched out into costume makeup, cosplay, style, how to use and assemble bikes, and more. It’s shouldn’t come as a surprise to know that 70% of millennials browse YouTube to learn how to do something. Now, tutorial videos are all over the Internet. In fact, these videos earn more plays than anything else on YouTube—including music! A lot of businesses have begun making them teach things like launching blogs, how to use PowerPoint, and more. There’s a lot of creative license here. A lot of businesses that don’t want to appear on camera themselves will choose this medium. You can use some different software options to create a little animated cartoon. If you go with animation, make it cute. The biggest thing online is pet videos. People love a great cat or dog video, the cuter the better. Because tutorials are informative, they tend to lose people’s interest quickly unless they’ve specifically grabbed you because they need one simple question answered at that moment. Convert PowerPoint presentations into videos. Put them up, let them play while you film them, and add some nice background music. Simply having video content of any kind will immediately increase your SEO results. This is a phenomenal sales tool you can use. A lot of people are buying online through major retailers like Amazon. While this is much more convenient and often cheaper, it does have some drawbacks. One of the biggest drawbacks is that they no longer have an expert to interact with in person who can show them how to use the product. A lot of companies use this to their advantage by creating demo videos that they embed right into their sales copy. Demo videos need to be friendly and casual. If your product requires assembly or set up, create a demo video showing them step by step how to do something. Talk them through each step first and then perform it so that the camera can clearly capture what you’re doing. Don’t make them feel stupid but make sure that you explain it so clearly that even a child could learn how to do it. Product reviews are similar to demos, but they include some pros and cons. It is difficult for a company to do this themselves and look sincere. The marketing strategy here would dictate finding a third party who would be willing to review your product for you. Some people pay for reviews, but this can get into a grey legal area and if anyone found out you would instantly lose all your credibility. I suggest approaching some of your best customers, who know your brand and love you, and asking if they would be willing to review your product. The cool thing about video marketing these days is that you may not even have to worry about reviews. Your customers will very frequently do this without being asked. Many of them have engaged viewers on their own social media platforms. 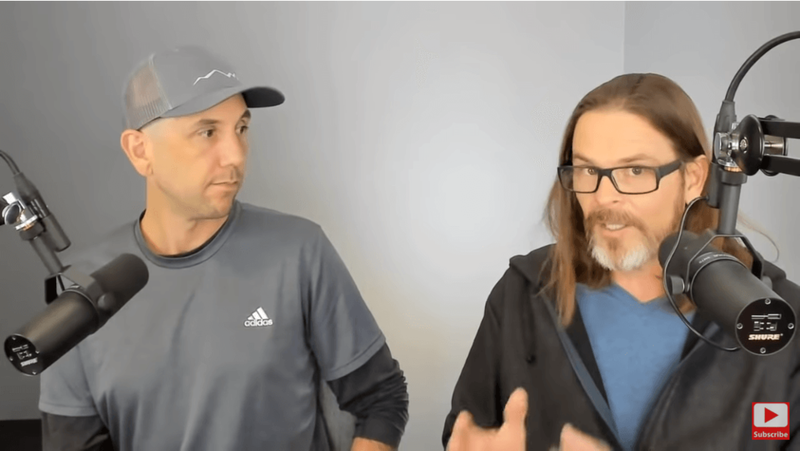 The Unboxing Video era has led to people posting product reviews on their pages to try to grab traffic from anyone searching for information about those products. Just sit back and let the machine work for you. These are similar to reviews, but they’re more concise and targeted. Generally, these videos will feature happy customers talking about their experience with your products. Familiarity is key here. If you can get a recognizable social media influencer to endorse you, then do so. Otherwise, try to get customers who look and talk like your target audience so your audience feels like the testimonial is coming from a friend and relates to the person using it. This can be one of the trickiest options out there today. These get inserted into people’s social media feeds and it won’t take them long to figure out that none of their friends posted it. In general, an ad has about three to five seconds to engage a viewer before they realize it’s an ad and keep scrolling past it. The more engaging you are, the longer that window becomes. Because this is such a crucial aspect of marketing, most businesses will leave this up to specialized marketing teams. Scripts must be written that keep someone’s attention while still conveying enough information about who you are that they will click through to your site. Many of these are relatable. The successful ones will blend seamlessly into a feed and appear as though a friend posted these because they wanted to share a funny video, a product that they loved and found clever, or something they can relate to. If you do this right, you can achieve the ultimate goal: viral status. Every company who engages in video marketing needs to have one of these. You need to be on YouTube. They have a program called pre-roll ads. Before nearly every video on YouTube, there’s a short advertisement that runs. Nearly five billion YouTube videos are viewed each day, so imagine how many companies benefit from those pre-roll ads. The cool thing about YouTube ads is that there’s no minimum investment. This allows you to start small and see how your video succeeds. If it’s working, invest more money. If not, tweak your video and try again. The great thing about these ads is that you can allow YouTube’s statistics to help you focus and target your ads. Don’t just throw your video into the wind and hope for the best; get seen by people who are most likely to buy your product. YouTube allows you to target audiences based on demographic groups (age, income, gender, marital and parental status, etc. ), interests (hobbies, specific needs, etc. ), remarketing (target people who have already been to your website), placement (channels that are similar in topic to your products; for example, makeup ads on makeup tutorials), or keywords. These videos are usually integrated into websites as part of a larger campaign. They focus on introducing your company to the viewer. What are your values? Who are you? What’s your mission? What products do you offer? When you’re launching a major event, video marketing can really help. Use these to promote your event. A lot of event videos will include highlight clips from previously held events. This is an especially great way to generate interest in annual events. Highlight clips should feature exciting things and happy people. Make the viewer feel like they missed out on something exciting and they have got to go this year. Another great way to promote events is by mixing these videos with other forms. Use some interviews and testimonials to get people excited and hyped about the new event. Host a vlog with regular progress updates as you prepare for the event launch date. Technology is growing at a phenomenal rate, and it’s important to keep up with it. 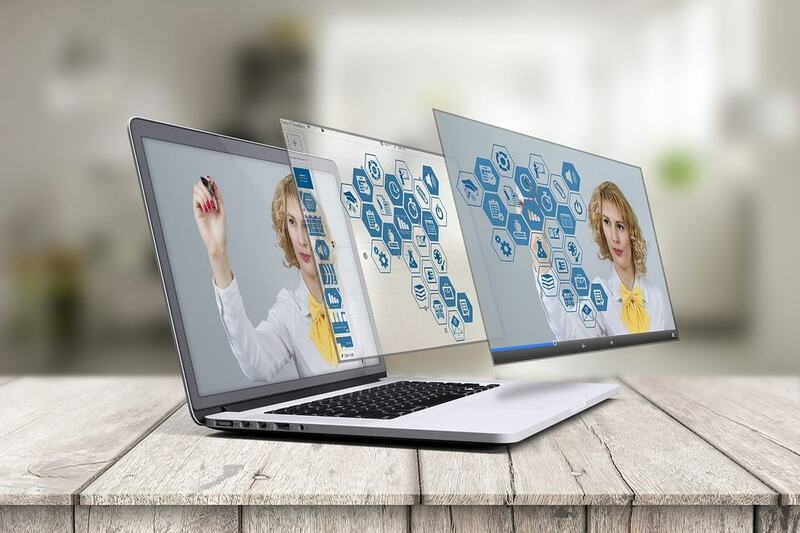 One of the big video marketing trends of 2019 is AR and VR technology integration. Virtual Reality and 360-degree videos are awesome because they engage your viewer. To see everything, they have to turn around or scroll just as if they were actually there. These videos are great for use with travel companies and educational tools. Let them "swim" in a coral reef or experience being surrounded by a rainforest. Augmented Reality engages their camera and allows them to interact with your products in their environment. This means that when they’re scrolling through paint colors or curtain options, or hunting for the perfect kitchen table that won’t take too much space, they can see what it looks like in their home. It will take in data from their phone then add in your product where they point it. Let them see how great that shade of paint looks on their living room walls for themselves—there’s no need to imagine it! The gaming industry has already made great use of these platforms. Many tabletop games now feature an added VR component. Simply clip the VR lens to your viewport and immerse yourself in the game. PokemonGO saw massive success with their AR integration, gaining back a large base of users that had become bored with the platform and left. Okay, you’re ready! It’s time to get going. The numbers have convinced you that video is key and you have picked a few of your favorite video styles to start working with for material. Now what? Now, it's time to slow down and evaluate. Don't rush this process, because a bad video marketing campaign will get you noticed for all the wrong reasons. No one wants to go viral for being culturally insensitive, offending a group of people, or just being "the dumbest thing you'll ever see…OMG… what did I just watch? LOL!" What's worse than being irrelevant? Being relevant because you've tried too hard to connect with people and it's extremely obvious. Being relevant because you made a list of Top #FAILS Of 2019! This is key. Every decision you make when it comes to formatting, scripting, shooting and placement of your video marketing comes down to your purpose. Who am I trying to reach? How old are they? Are they married, single? Kids, pets? Did they go to college, or are they still in college or younger? What do they like to do? What other products do they buy regularly? What’s my end goal? Are you trying to sell something that’s been around a while, or launch a new line? Is this about featuring a sales project or just introducing people to your company? Are you trying to attract traffic through to a squeeze page, or just put yourself at the forefront of their mind? Where’s the video going live? Choose your platforms. Is this going on a squeeze page? Are you marketing it through YouTube ads? Will this be hitting Facebook and Instagram walls? Begin with one target location that you are confident your audience will see before moving it through several channels. I recommend starting with YouTube pre-rolls because there’s no minimum budget and you can focus on an extremely small niche market. When is the video due? Knowing how much time you have to write, shoot, edit, and post a video can have a major impact on how long your video is, what style you opt for, and what you’re going to feature. How much can I spend? Like a due date, a budget has a serious impact on your video. If you don't have tons of money for effects, it may be best to opt for using a cell phone and making a more relatable video.If you've got a decent budget, go ahead and script a full video with several characters and go all out! What’s my success metric? How will you determine the success of your video marketing campaign? Choose some key performance indicators.An increase in traffic could be one measure of success. Maybe you're getting much higher conversions. Sign-ups, subscriptions, follows, sales…pick your measures and drive toward that. These should align closely with your goal. When you’re looking into your goals, ask yourself whether it is specific, achievable, and measurable. 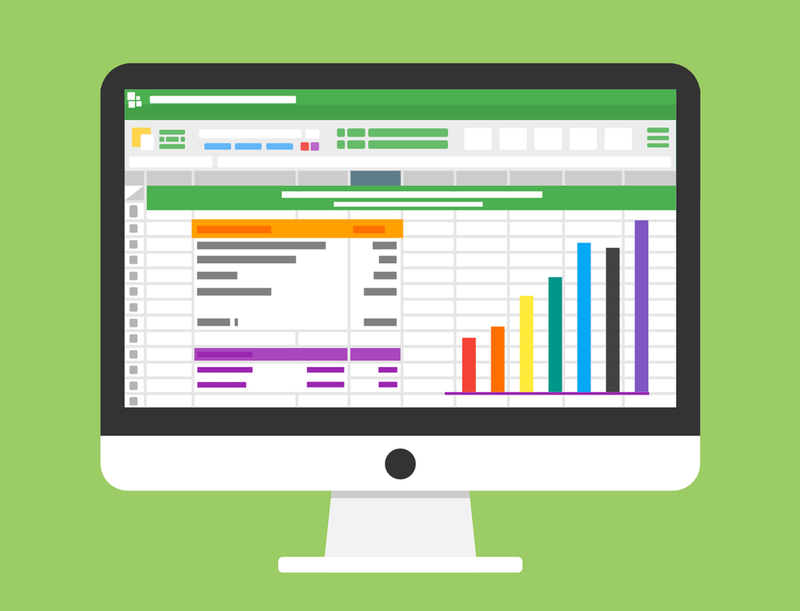 Tracking success is vital to successful campaigns. There’s an art to viral videos. A lot of them have several things in common. If you pull all the viral videos in a specific category, you’ll likely find that they all have similar pacing, camera style, theme, and more. Likewise, they will all have a distinct lack of certain flaws. This is because they know what works and what doesn’t. Find out what works for you. When you track your data closely, you can see what people are reacting to and how. This is especially true for live video, where it is possible to track live reactions. What did you say that immediately earned hundreds of thumbs ups? Which portion of the video lost viewers rapidly? 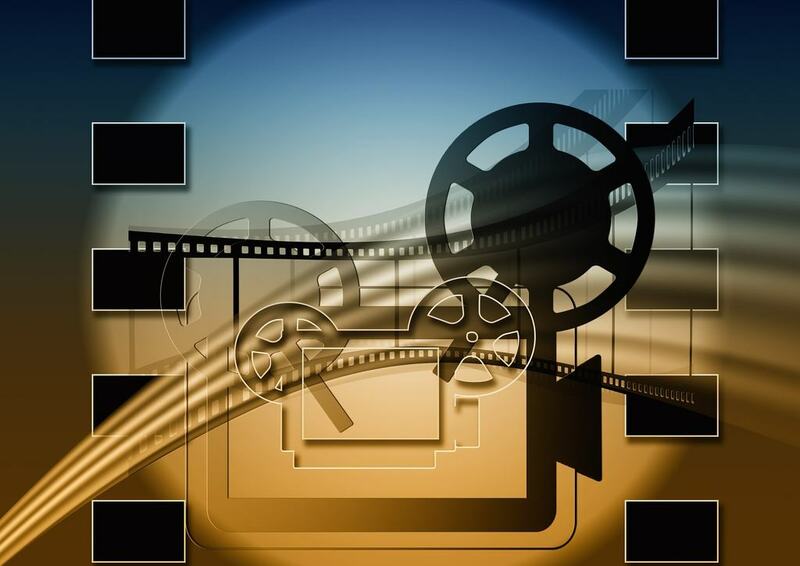 There are a lot of different types of videos, but they all fall into one of three distinct categories: educational, inspirational, or entertaining. You need to choose a category that lines up with your current branding and target audience. Your content should resonate with them, not feel forced or extra. Educational materials should be straightforward and informative. Offer advice, tutorials, demonstrations, and guidelines that can be immediately put into practice. Make it easy for your audience to connect with the video and the material. This doesn’t mean that they can’t contain entertaining things like humor, or inspire action, but the primary focus is on educating viewers. Inspirational videos are designed to get people hyped about your topic. A lot of them feature stunning views, breathtaking scenery, daring feats of adventure, vacations, and people having a great time. They inspire and evoke certain feelings—whether it’s wanderlust, nostalgia, party and fun, excitement, or beauty. It makes a viewer wish they were taking part in the video rather than simply watching it. An entertaining video's sole purpose is to make the viewer laugh or smile. These videos can go viral quickly if you do them correctly. Make it count. Don't be over the top or extra, don't try too hard. These should be well scripted, tightly run videos. The content should intrigue them enough that they'll want to find out more about you. When deciding which of these styles is right for you, the easiest answer is to go with what you know. You’ll be more comfortable and natural and that will shine through in your content. Users want authenticity in their content. If your viral marketing campaign reeks of over-scripted packaged ad sales, you won't make it past the first five seconds. If it's authentic, it doesn't have to be funny or big budget. People will relate to you. We’ve all seen viral rants. They’re hilarious. Leave Brittney alone, already!! That rant skyrocketed him to instant Internet fame. And who doesn’t love adorable videos of animals? Oops, that cat just fell off the counter while he was trying to steal some bread! Hah!! That dog just got pounced by a tiny kitten going mew, mew, mew! I will watch those vids every single time. Sadly, these off-the-cuff videos rarely work for businesses. Most of the spontaneous, human-made videos go viral because of how stupid or ridiculous the people look, and that's not an image you want to cultivate if you're trying to get people to trust you and your brand. You want to create content that grabs their attention within five seconds and holds it past ten. The timing has to be tight and it has to be focused, on brand, and to the point. Achieving this means planning ahead and scripting your video. Most of your videos will be seen through ads on social media feed scrolls. You’ve got less than two seconds to grab their attention before they keep scrolling past your ad. Make your introduction count. If you can keep their attention with those two seconds, you’ve bought yourself another three seconds before they figure out that you’re an inserted ad that wasn’t posted by a friend. Spark their curiosity. Make them feel something. If you can manage that, you’ve caught them for another five seconds. Don’t count on much more than that. People’s attention spans are very small. At least 20% of viewers will click away from a video sometime in the first ten seconds. This means you have to grab their attention very quickly and hold it long enough to keep them past that ten-second window if you want to give them what they need to know. This becomes especially important with limited ad platforms. A lot of mobile games and YouTube video pre-rolls allow users to skip an ad after a given amount of time. This means you have between ten and 30 seconds to make them want to finish watching, or they’ll be able to hit a little X and close your ad out to get to the content they want to see. Do not expect anything else. They will click that X. Make sure you include a way for them to click through to your information within that time frame, so they don’t close your window without knowing how to find you and what you sell. Do not focus on sales. Video marketing is a really interesting way to make sales because it doesn’t rely on traditional methods. You don’t have time for traditional sales methods and people scroll right past blatant ads on their feeds. You need to be relevant. To do this, focus on the story you want to tell. I’ve said it before, but it is so critical that I will keep saying it: make them feel something. Evoke an emotion. Get them to interact with your content so that it resonates. No matter how good the product is, the truth is that no one resonates with sales copy. No one likes being pitched to. This is especially true on social media, where it can feel like you've invaded their private social lives with ads. There's a reason the pop-up ad died as soon as pop up blocking technology became a thing. No one wants to be bothered with ads in their personal space. When they feel something, it's completely different. People love sharing things that make them feel good. Why do you think adorable animal videos are the all-time, most popular, most-shared videos on the Internet? Zoos have seen skyrocketing numbers when it comes to donations and visitors because they’ve jumped on the viral bandwagon and optimized their video marketing with a very sharable concept: we have the fuzzy animals! Aren’t they adorable? Check out our baby otters laughing and playing! See this newborn baby tiger? Just like a house cat but bigger! Look at our bat drinking from a bottle. Ever notice what else gets shared a lot? Feel-good stories. Sure, we’ve all seen our share of political memes and news stories bashing one side or the other of the political spectrum, but how many of us really enjoy those? Most people are sick and tired of political stories dragging their feeds down, so this is not going to be effective for businesses. Uplifting stories, though, get shared regularly. How many of those feel-good stories can you recall? They can subtly do wonders for brands. I remember seeing a pay it forward story on my wall. Someone went to buy coffee and was told that the person ahead of her in line had paid for her order. She decided to keep it going by paying for the person behind her. The employee told her that she was the eighth person in line who decided to do that, and it had been really awesome to see that happening all morning. Do you want to know what else I remember about this story? It happened at Starbucks. This story made me hopeful for society. It made me feel good. I now associate that feeling with Starbucks. When all else fails, be funny. This ties back into my point about being positive and uplifting. People have enough stress in their life. They don't need a Debbie Downer marketing scheme telling them everything they have to worry about then selling them a solution. They want to feel good. The Internet is all about dopamine hits these days. There's a reason that social media addiction has become an epidemic. It feels great to get “liked.” People live for thumbs ups, hearts, and comments. They want you to interact with them and make them feel good about themselves and comment on their posts like "Yes, your outfit looks amazing" or "Oh my gosh that puppy is so fluffy." Give them that dopamine fix. Find a way to make them laugh or smile. A great way to do this is with humor. If you’ve got mad jokes, they will love it. Don’t feel like you have to be a huge comedian either…dad jokes have made a massive comeback! They may groan at your creakingly-old puns, but they’ll stay engaged. 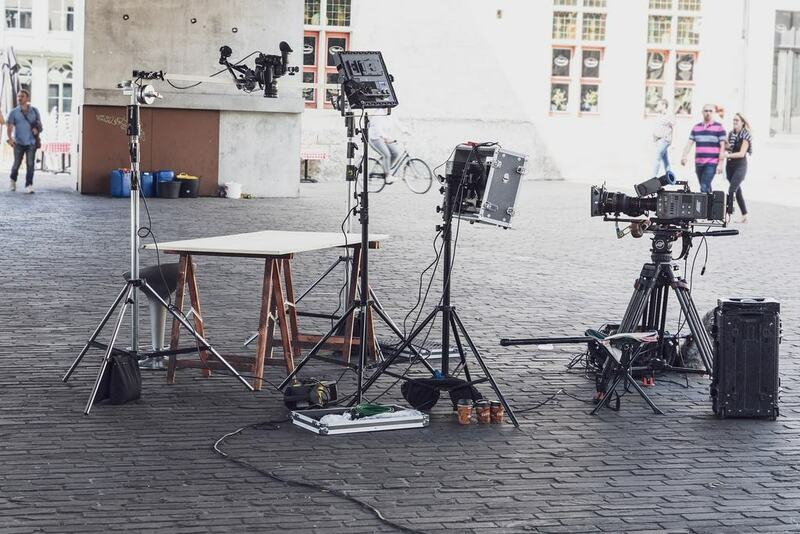 The right video gear is another important factor in video marketing. You have to know what you're working with or your video will come across as very low quality and people won't want to watch you. Use a tripod. This will make sure your camera stays steady and doesn’t move or shake with you. No one wants to see shaky videos unless they’re for effect. Overhead lighting is rarely attractive and doesn’t make you look great. Instead, try different levels of lighting from various places around the room. Make it soft and flattering. Natural light is the most flattering option. Just make sure that you can record your video before the natural light changes position and ruins your shot. Avoid contamination from ambient noise by using a microphone. It doesn’t have to be a huge one. These days they make microphones that plug right into your iPhone’s headphone jack! This is important because you want people to understand your message. 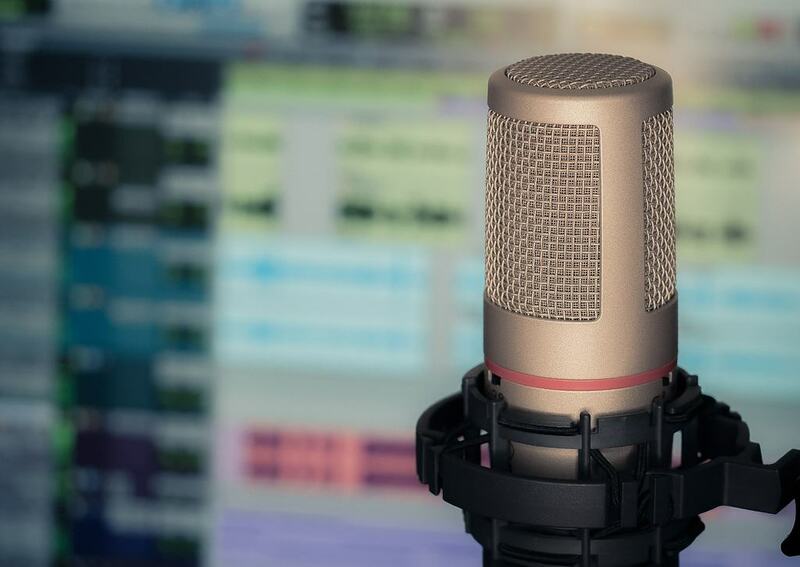 Enunciation and projection are great, but microphones can filter out the bird tweets, cars driving by, footsteps in the hallway, and other noises to ensure that they just capture your voice. Contrary to popular belief, you don't need a huge budget and professional camera team to make a fantastic video. These days, smartphone cameras are very high quality and come with a variety of settings. Use tripods with them to make very personal videos. These are a great way to seem very personal. Before you begin, you need to make sure there’s enough free space to record your video. Nothing is more frustrating than getting a perfect shot and running out of space halfway through the presentation. Make sure to set your phone to Do Not Disturb or Airplane mode to avoid pesky notifications, phone calls, and interruptions while you record. These can throw off your game. Always film horizontally, not vertically. This allows a video to automatically adjust to whatever screen a viewer is using to watch your video. It looks more professional and covers more space. This is especially true when you want to capture details in your background, film multiple people, or take people on a tour of your space. Do not use the zoom. The iPhone zoom feature doesn’t actually make your videos easier to view. In fact, it does the opposite. The closer you zoom, the lower the quality of the image captured. Whenever possible, move your entire tripod closer to the thing you want to film. Lock your exposure. Hold down on your screen until a yellow box with an AE lock appears and set it. The iPhone cameras will automatically adjust to whatever they think is important based on lighting and shadows, and this is not the great feature it pretends to be. It will end up making your video constantly move in and out of focus. Locking it down prevents it from adjusting so your image stays sharp. Now that you’ve got a video, you need to get it in front of people. Choosing the right platform is only one part of the equation. Make sure your video fits the platform and audience. Watching content from a smartphone is not the same as watching from a laptop or television screen. Make sure that your video won't suffer in quality or clarity if you're showing up on a small phone screen. Optimize it further by knowing the platform. Are you using Instagram or Facebook? Twitter or YouTube? Is this meant to be a social media feed advertisement or the video on your squeeze page? Target your video to the audience preferences of the platform. Instagram is full of younger people, hashtags, and quick scrolls. Facebook uses a lot of live video streams and shareable meme videos. Landing pages offer you a little more space and time. 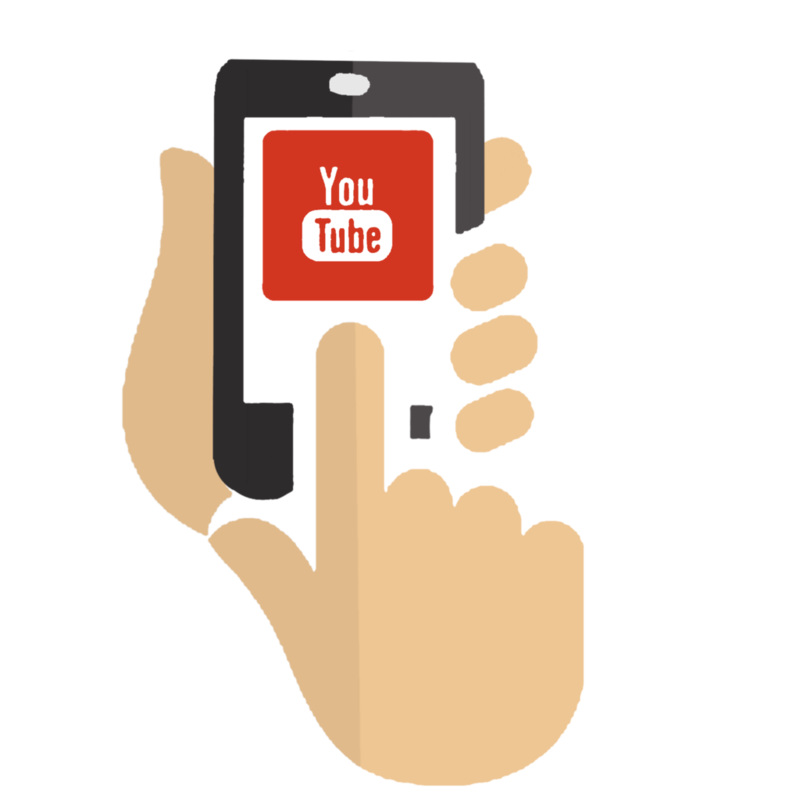 YouTube is a search engine and you need to optimize your videos for search to get reach and exposure! A lot of people will use the default thumbnail image that a platform chooses from somewhere within a video. This can be dangerous because you don’t know what that image is. When people are searching for something on YouTube, they don’t get a full video. They see a title and a thumbnail. You should choose a thumbnail that engages and intrigues your audience and will make them want to click through to the video. Everything—and I mean everything—is about the hashtag game these days. Make sure your hashtag game is on point. These are used in correlation with SEO tools to direct people to your content. For example, people on Instagram often search a specific hashtag they’re interested in. This brings them to a feed they can scroll through and see all the content marked with that hashtag. Learn the instagram strategy here. It seems tedious to use so many hashtags, but it is extremely effective in making sure your content is seen everywhere. This guide should help you with everything you need to know about video marketing.